I hope you are all keeping warm... not sure about where you are, but it's yet another cold, cold day out there today! 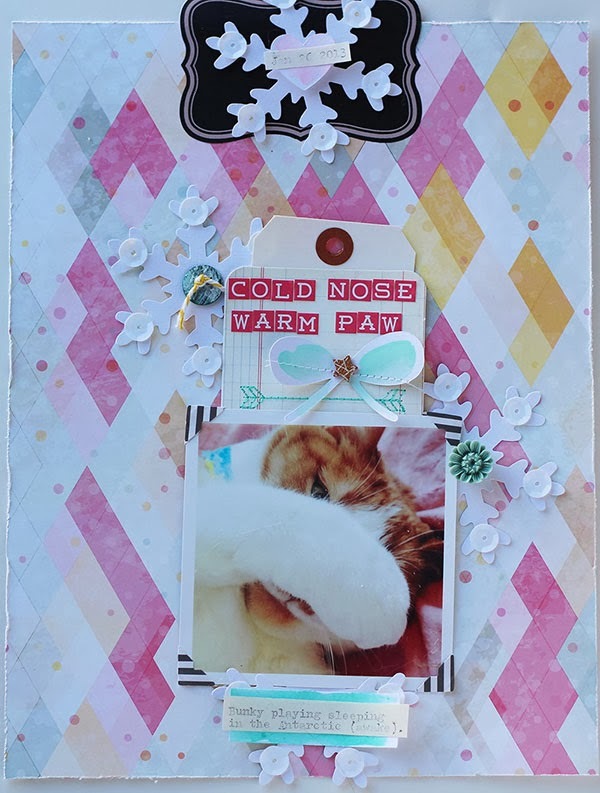 To kick off my layouts made with the February Cocoa Daisy kit, here's a layout of my kitty girl Delilah, keeping her nose warm. 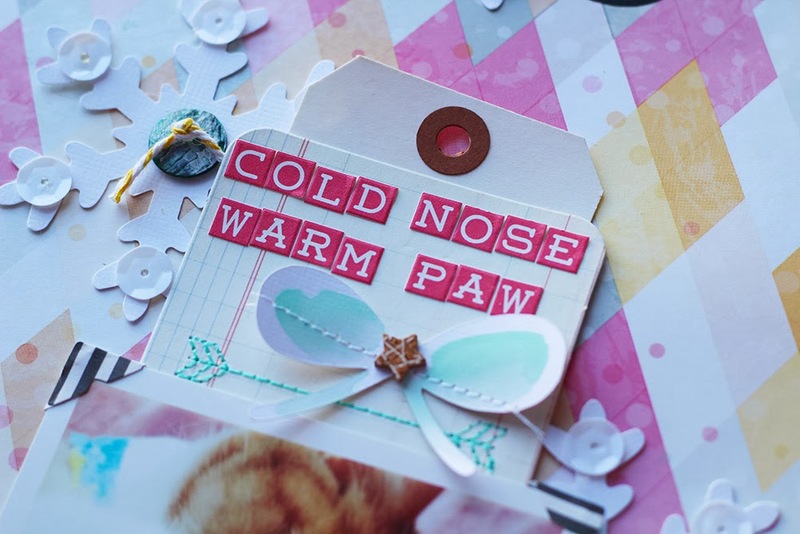 I love these little letter tile stickers by October Afternoon! And this harlequin patterned paper designed by Stephanie exclusively for Cocoa Daisy is one of my faves! I added sequins (from my all-time fave add-on ever, Paint Chip) to the tips of punched cardstock snowflakes. I washed just a tiny bit of watercolour over a cut heart and put it on a foam pop dot. 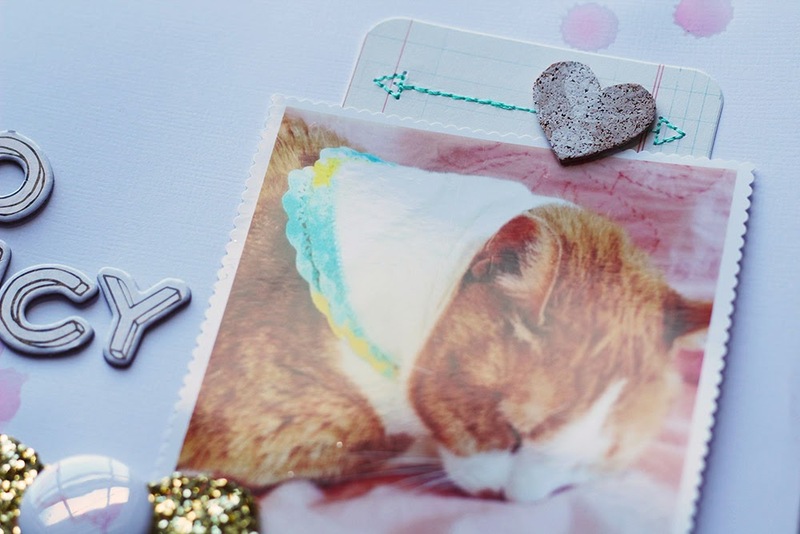 Such an easy way to make a cute little embellishment. A bit more watercolour here... I used one of the labels included in the kit but flipped it over to the plain side and washed some minty aqua paint across it. 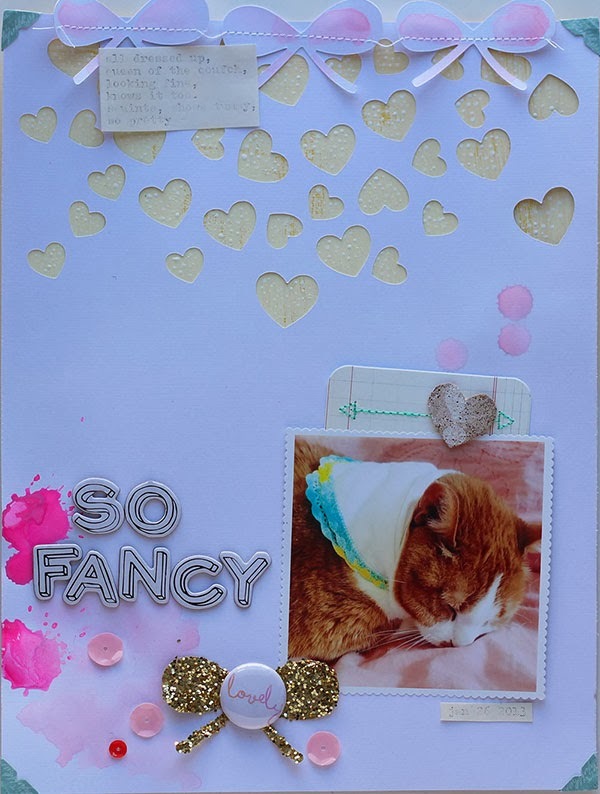 I loved the bit of dimension the curled paper added to the bottom of the layout so I didn't adhere it down completely flat. Now... a page about Evie Grey's delicious "little" thigh! I made the background cut file.... check back in a few days for an exciting announcement about my cut files and Cocoa Daisy! 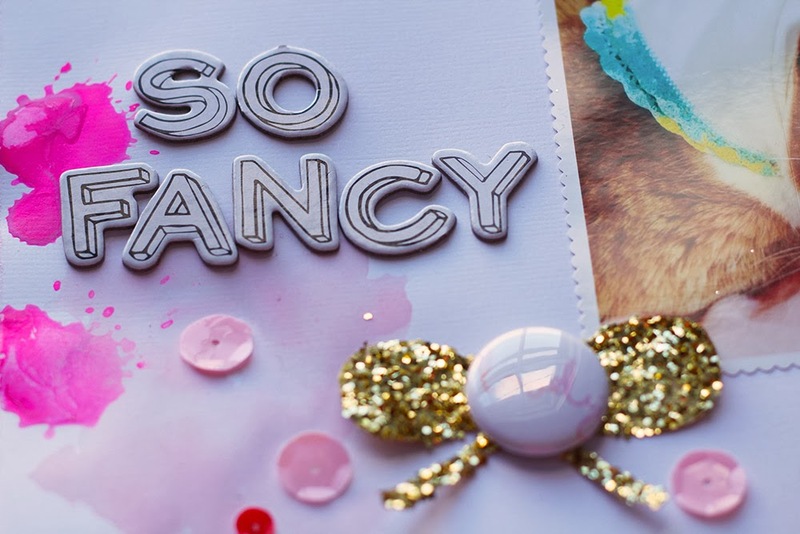 These Basic Grey chalkboard labels are fun! And these awesome little script alphas are by October Afternoon, they came in the DITL kit. I stacked and layered some glassine bags that kit contents were packed in, along with a tag from the main kit, Evie G's initials, and a bow embellishment I made with a die cut bow, and a sequin and stick pin (both from Paint Chip add-on). 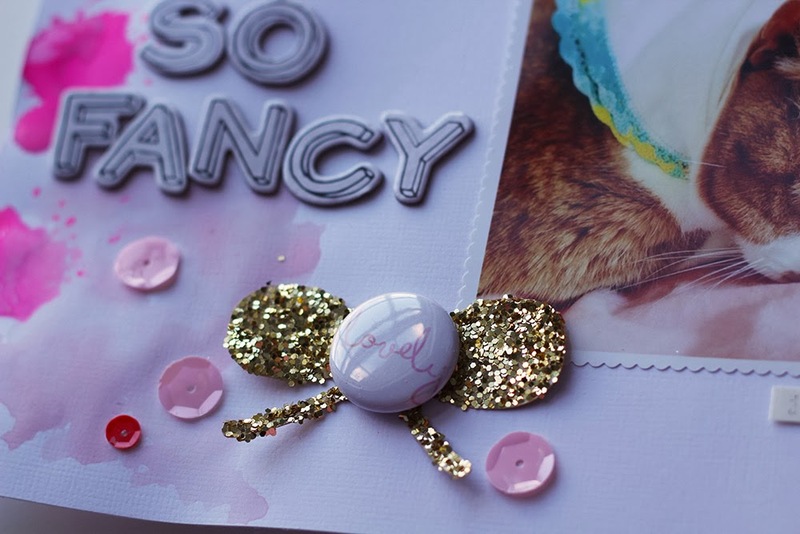 I glittered up another die cut bow with chunky gold glitter and set the center with one of those lovely resin flowers, also from Paint Chip! 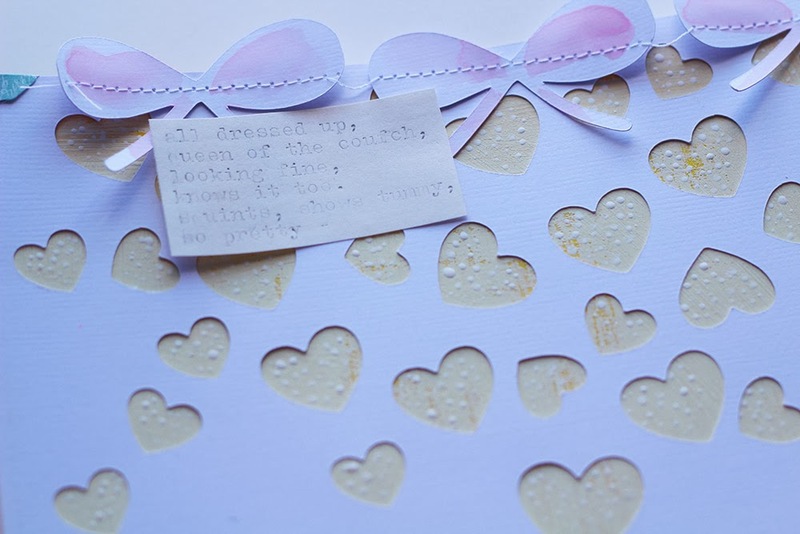 This is another cut file I made... confetti hearts. I layered the white cut cardstock over yellow cardstock from the kit that I washed with gesso. Then I added little dots to the hearts with more gesso. And, more cut bows, this time sewn together into a garland and painted. I thought this page *really* needed a thick heart right here above the photo. I cut one out of the cork embellishments from Paint Chip. 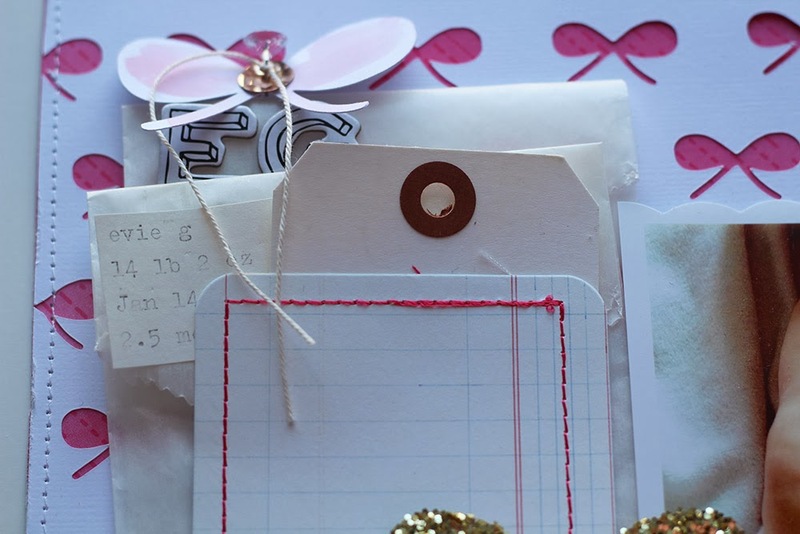 The stitched card is from the DITL kit. 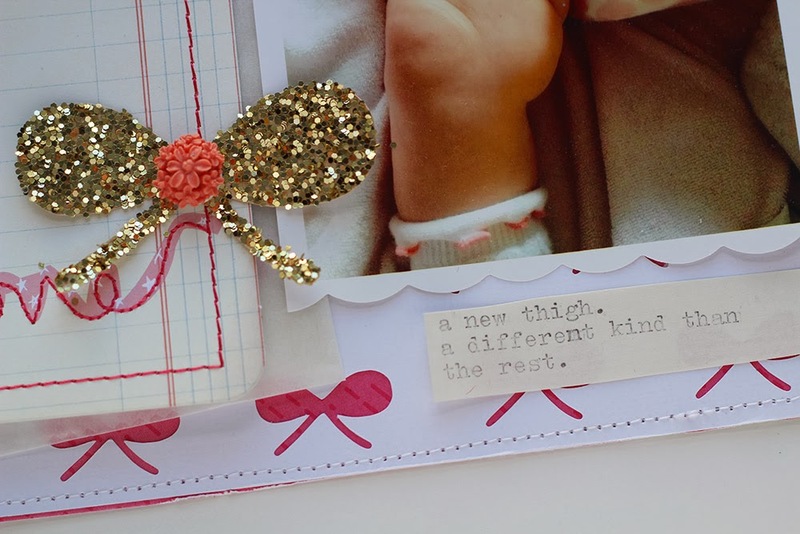 Love these Thickers from Mood Board. The lovely flair... just so lovely! From the main kit. Those Teresa Collins sequins are perfect! I love that they aren't holographic or iridescent like sequins often are! Just satiny shiny! 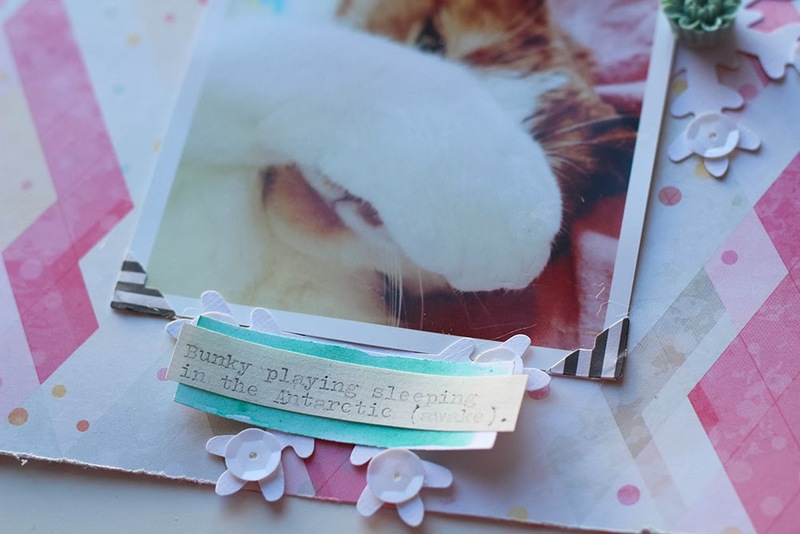 Cute layouts. Love the chubby baby leg photo!! Every one of your layouts is just so YOU. I love that each one has such heart, and such beauty.